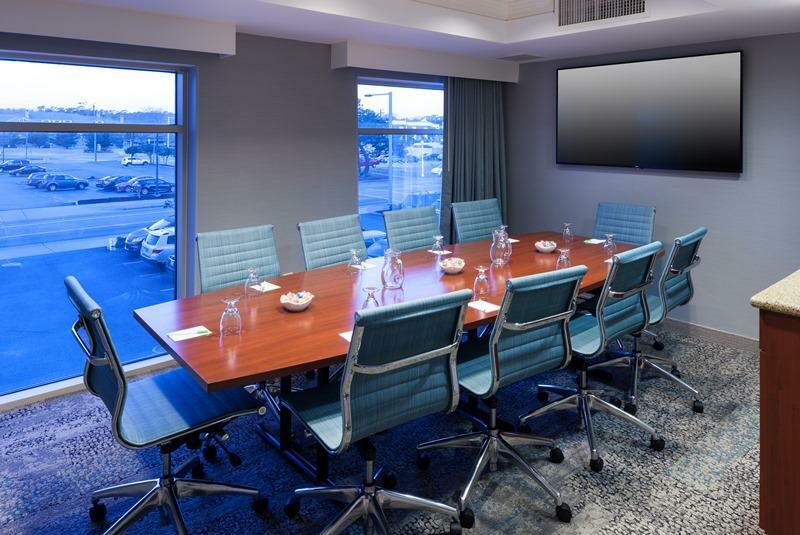 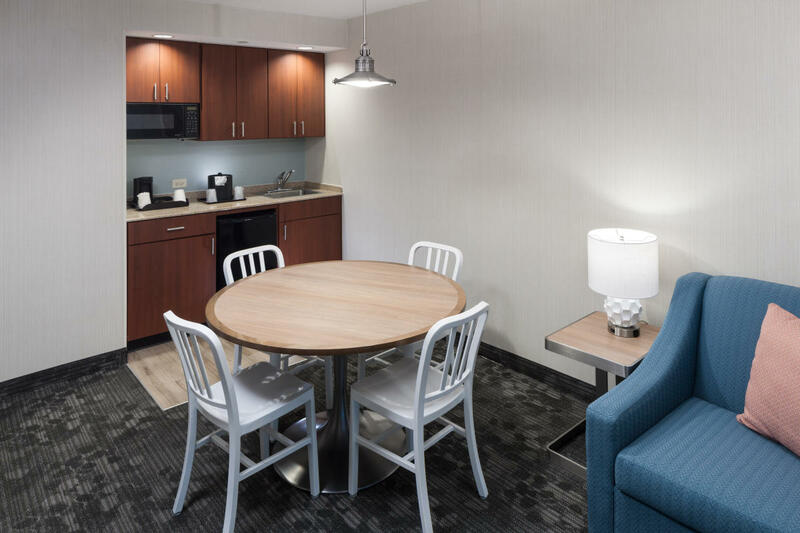 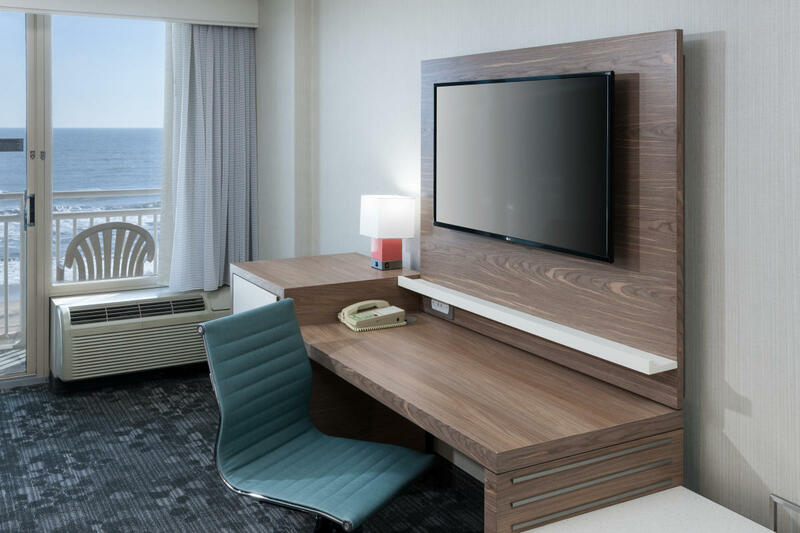 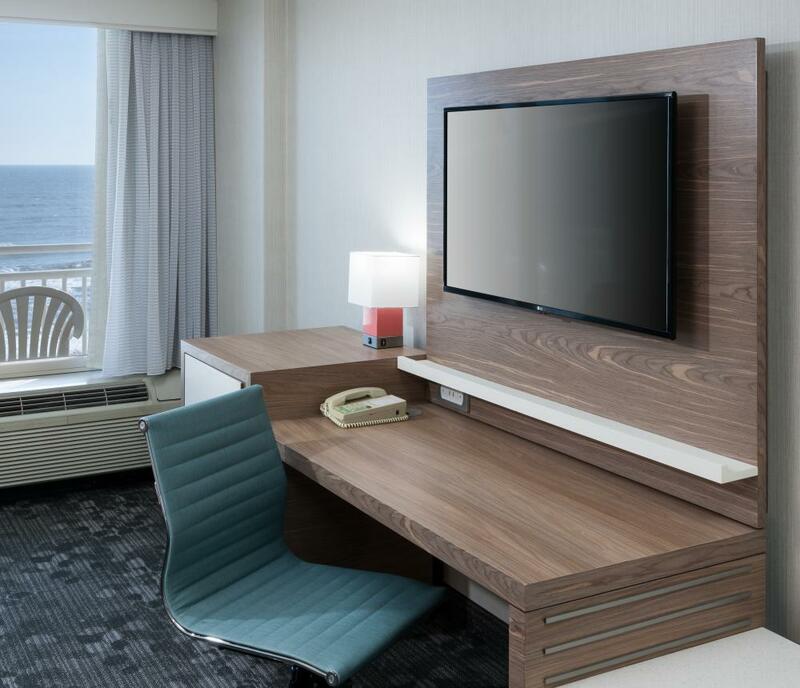 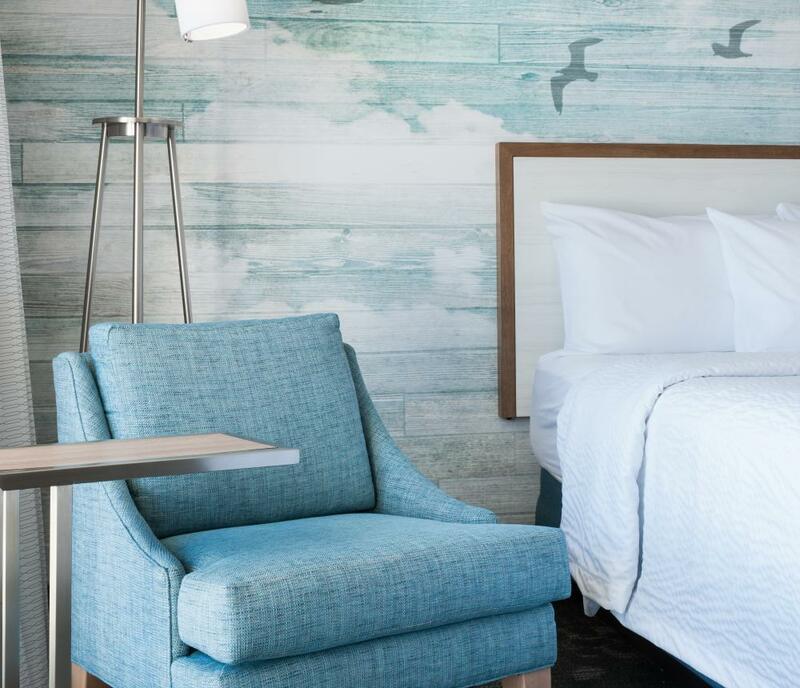 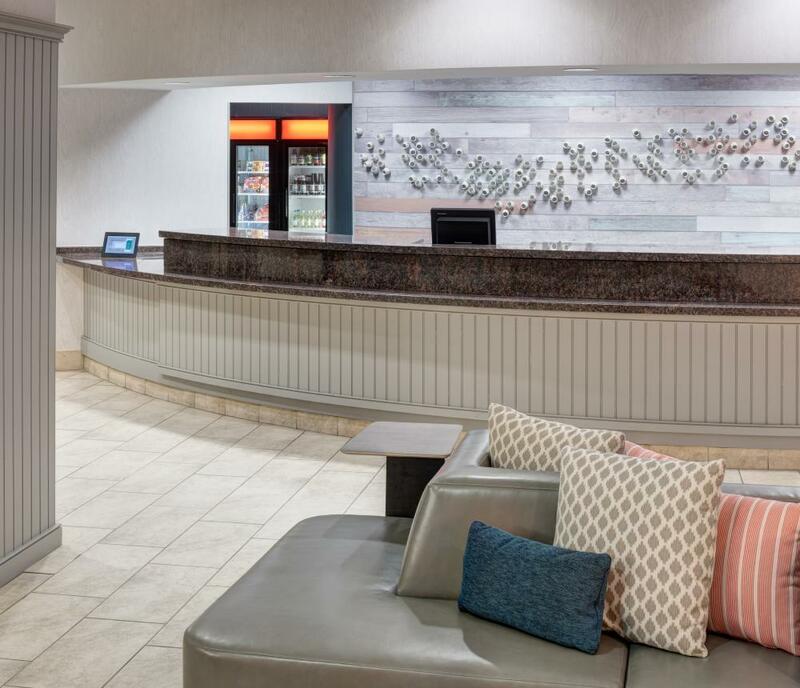 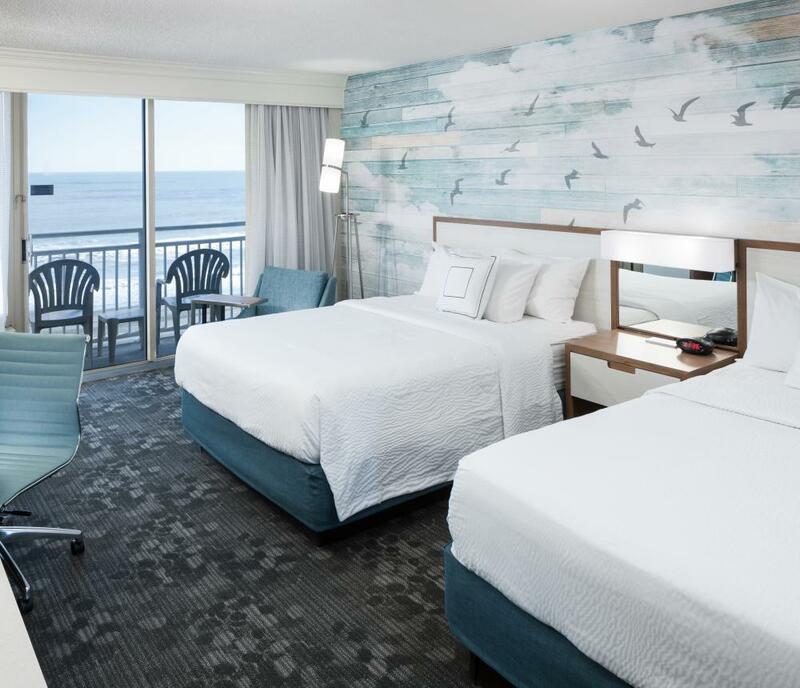 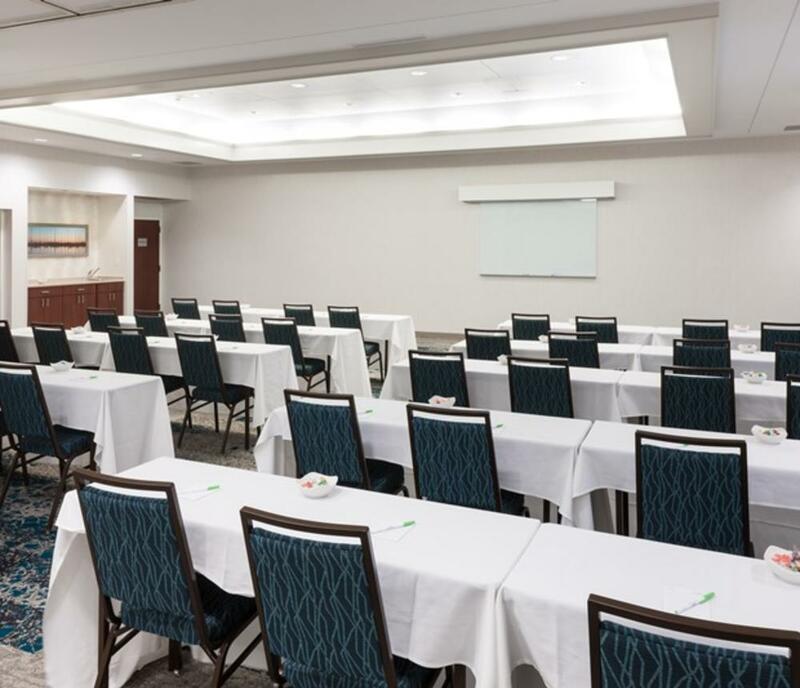 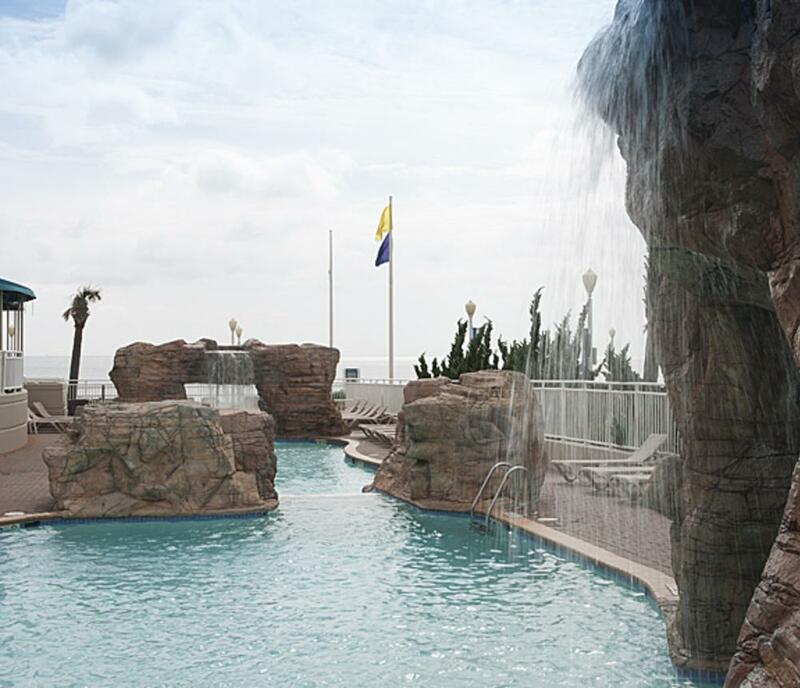 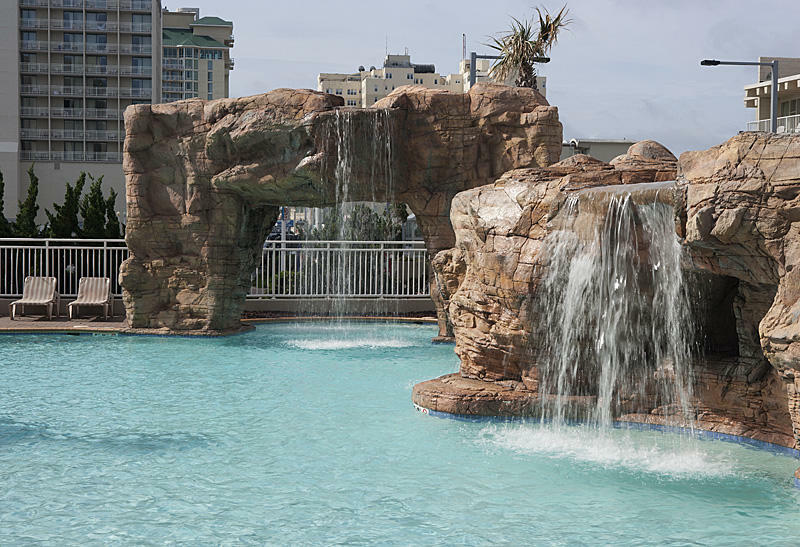 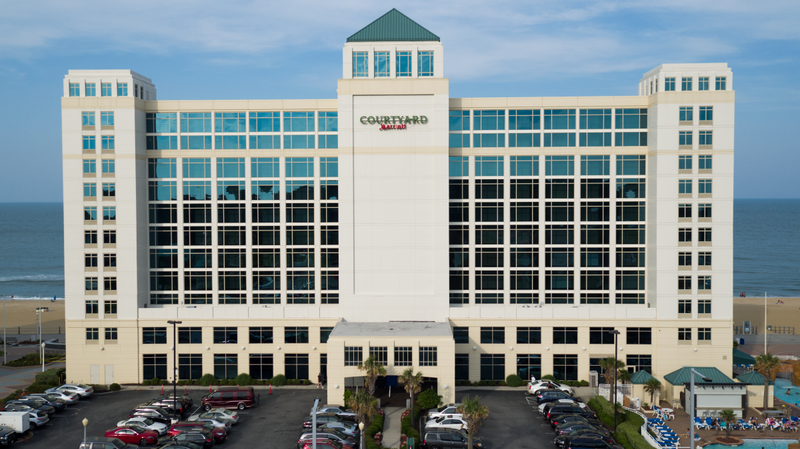 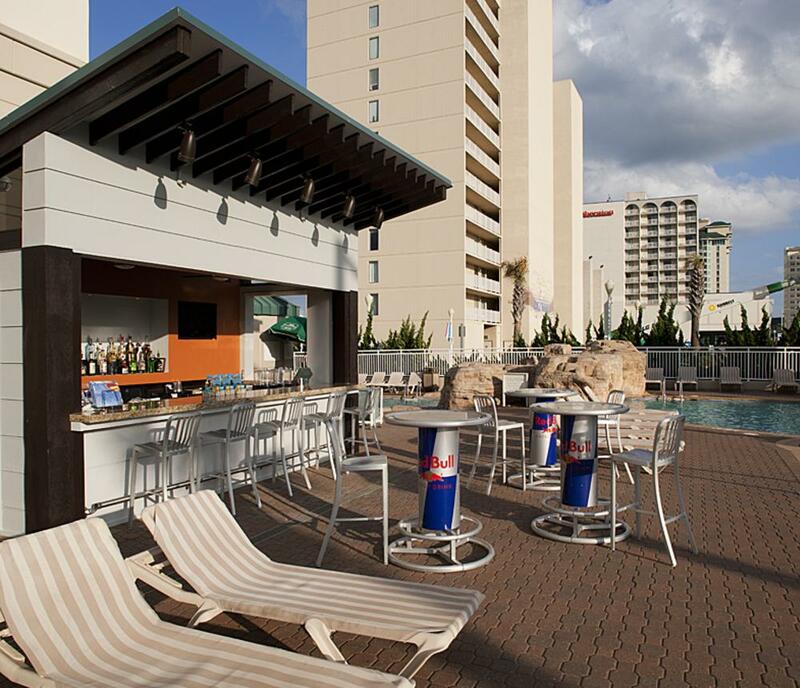 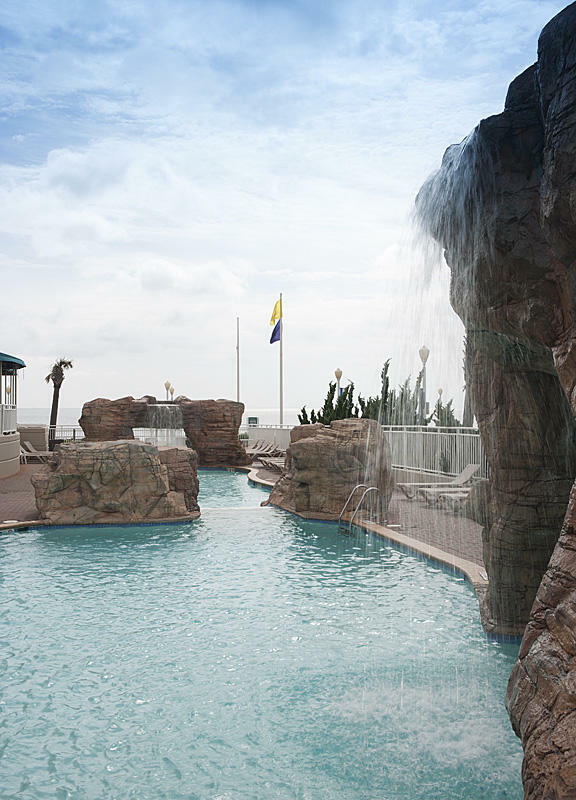 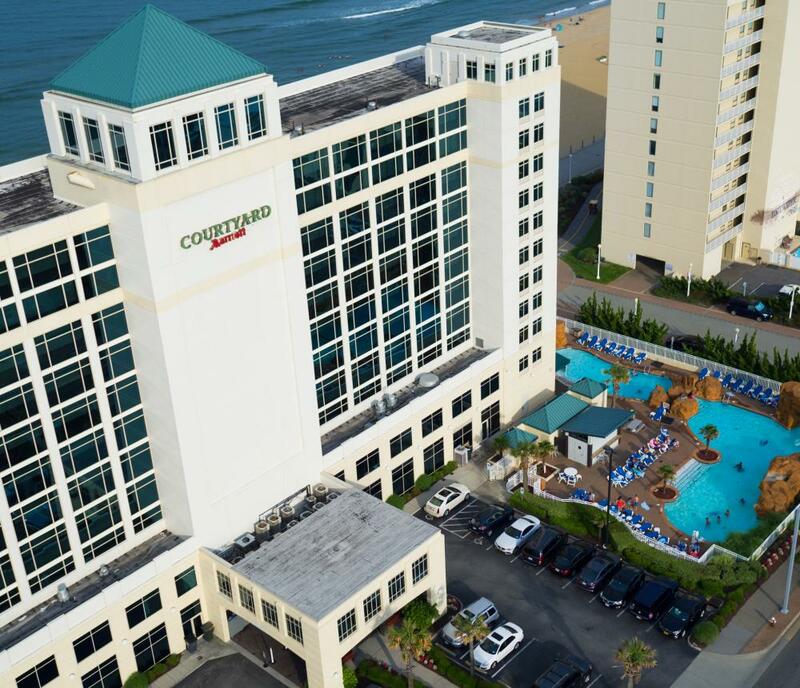 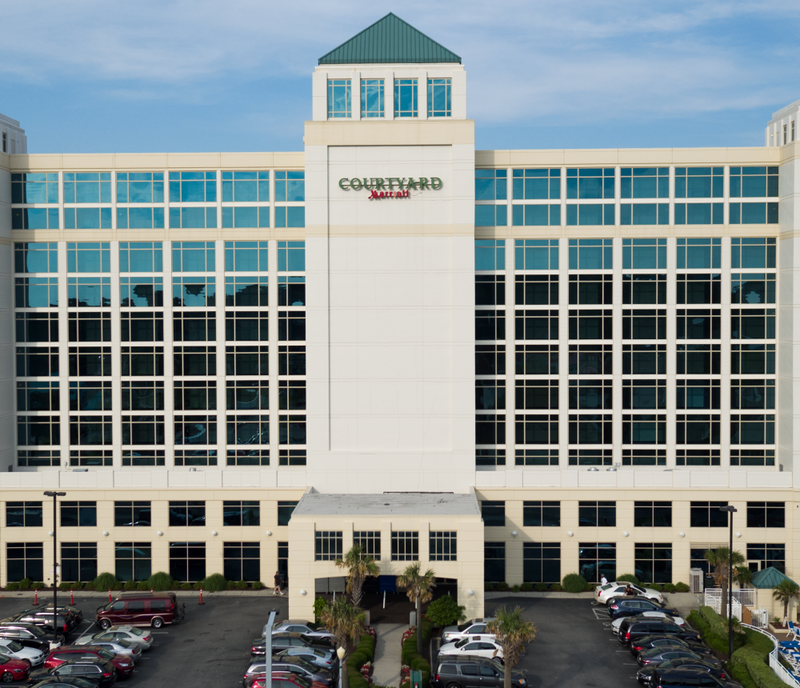 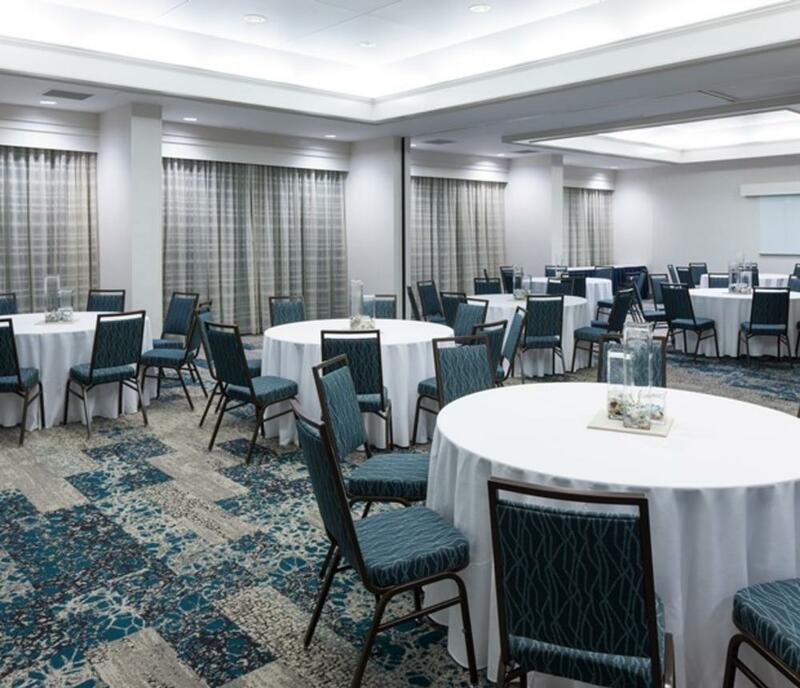 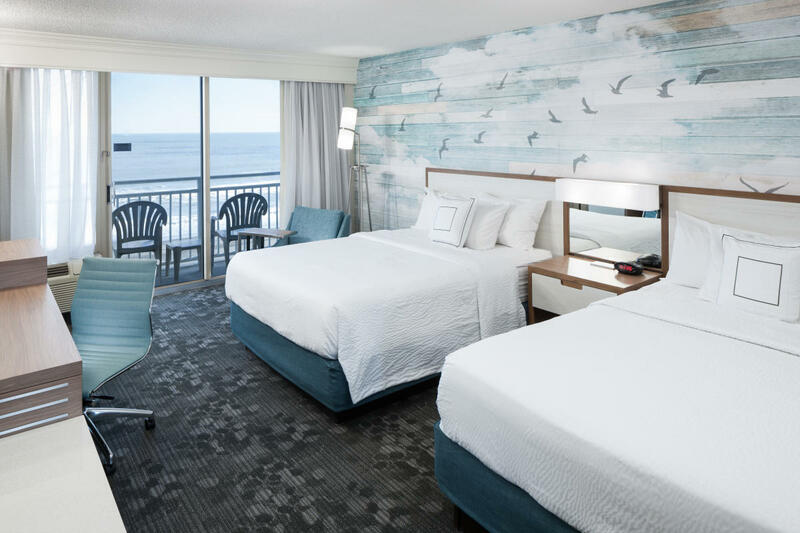 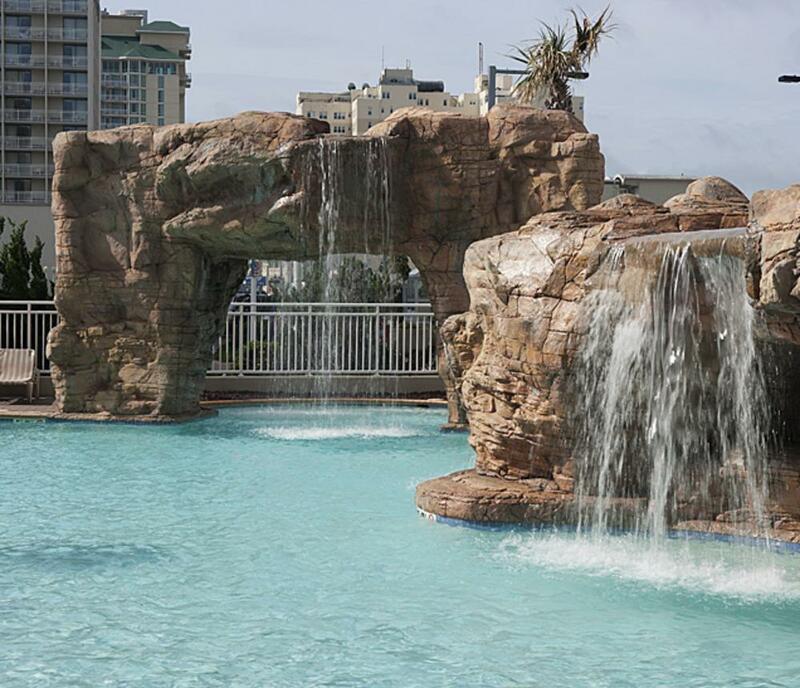 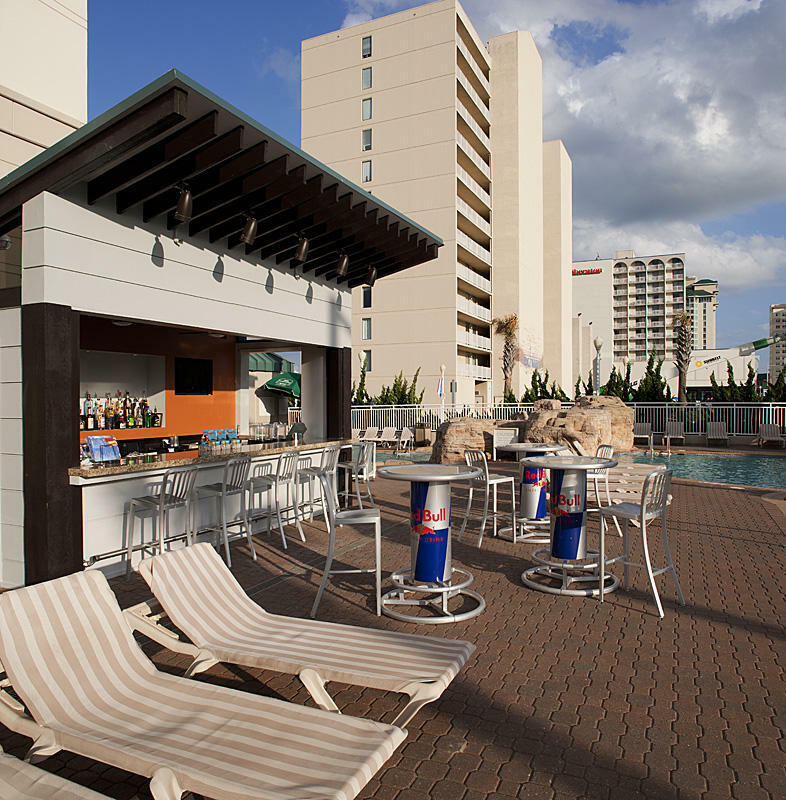 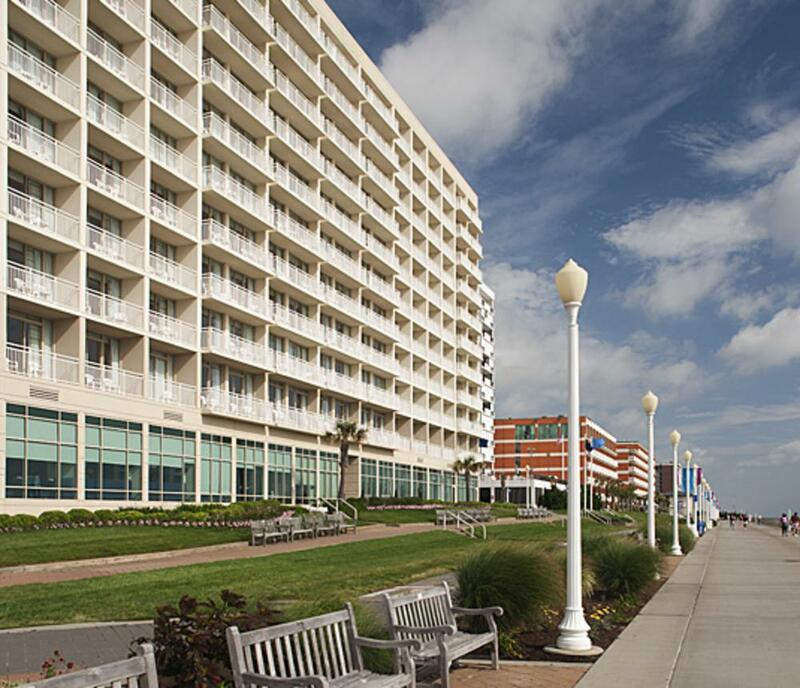 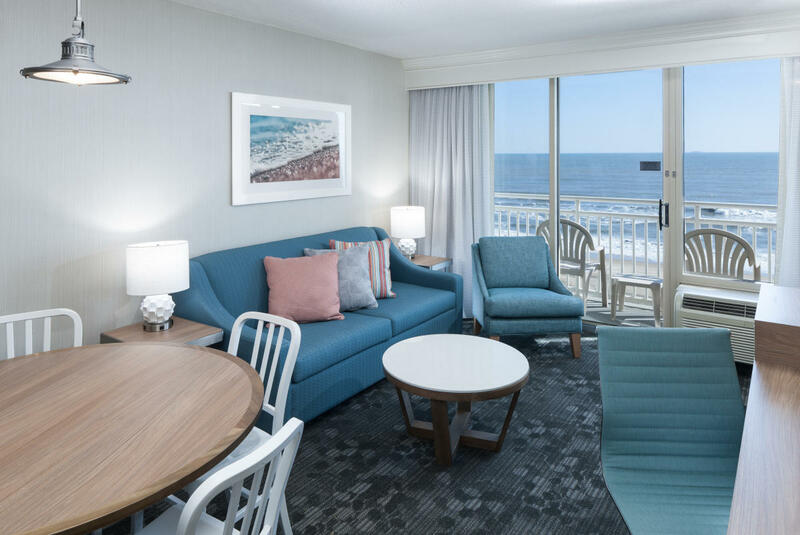 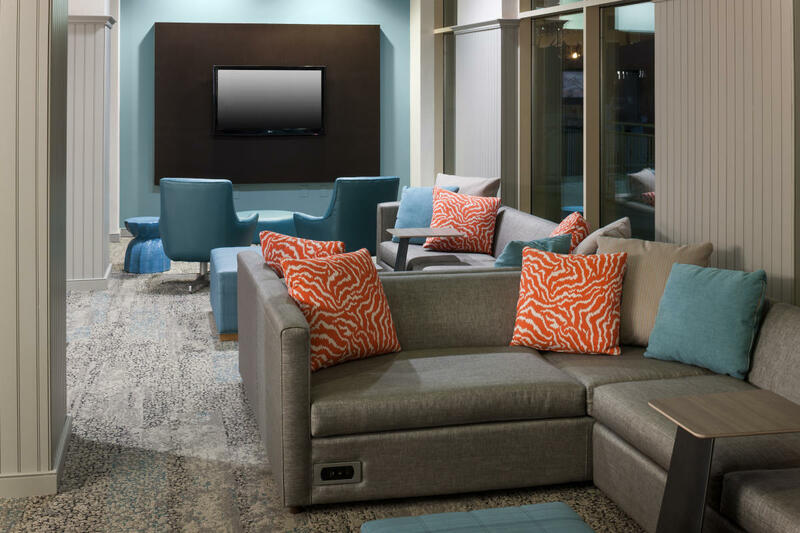 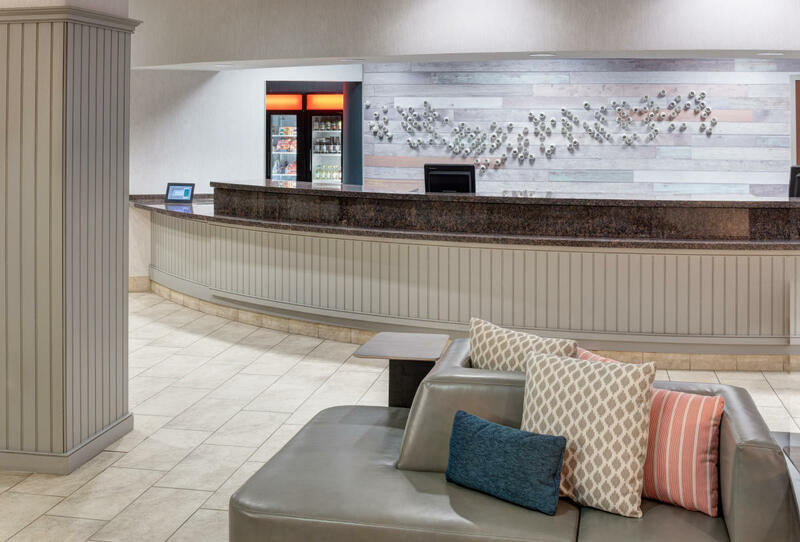 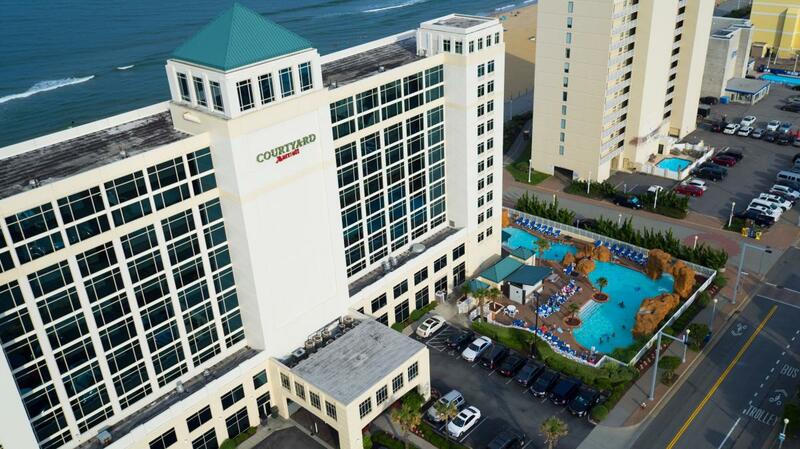 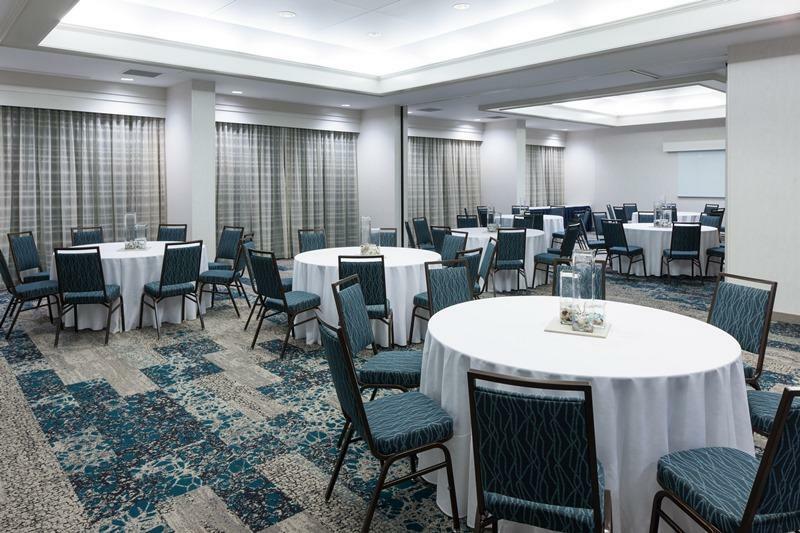 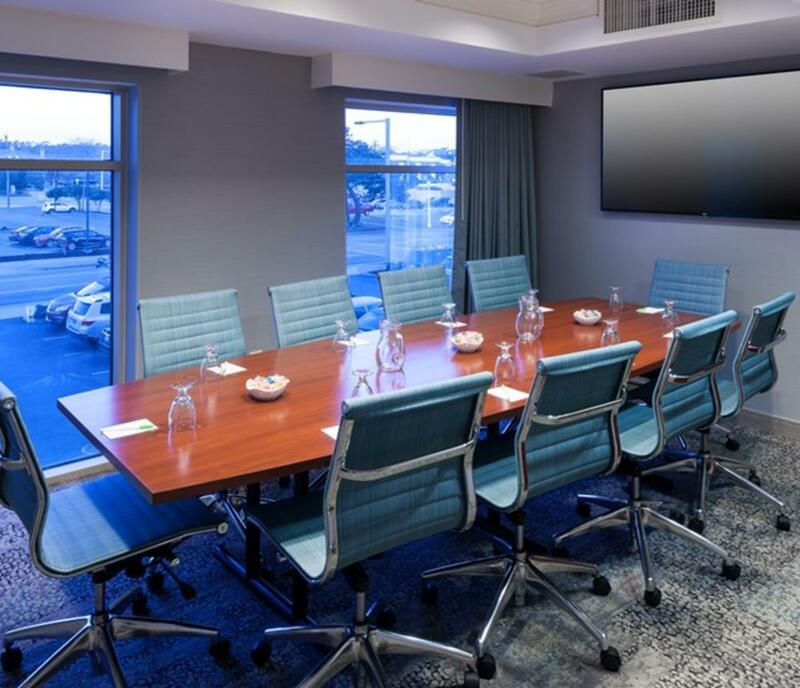 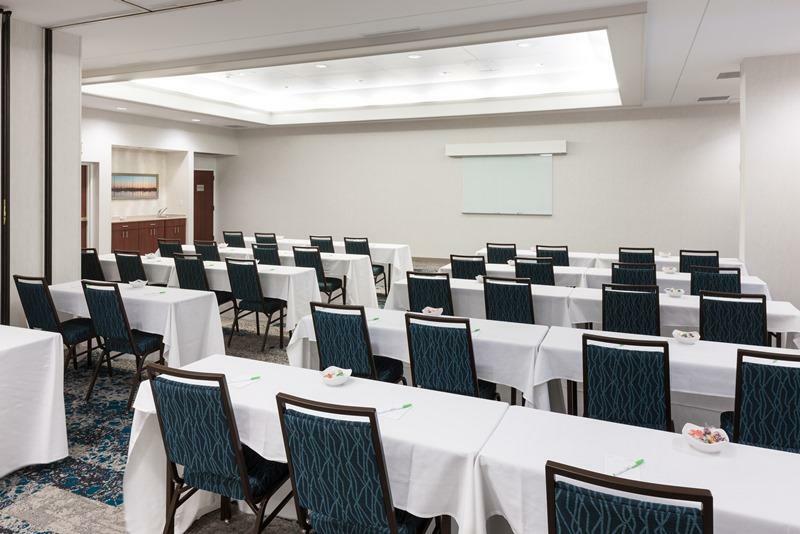 Our Courtyard Marriott is located on the north end of the boardwalk with direct, instant access to the beach and close to all the attractions, restaurants and shopping. 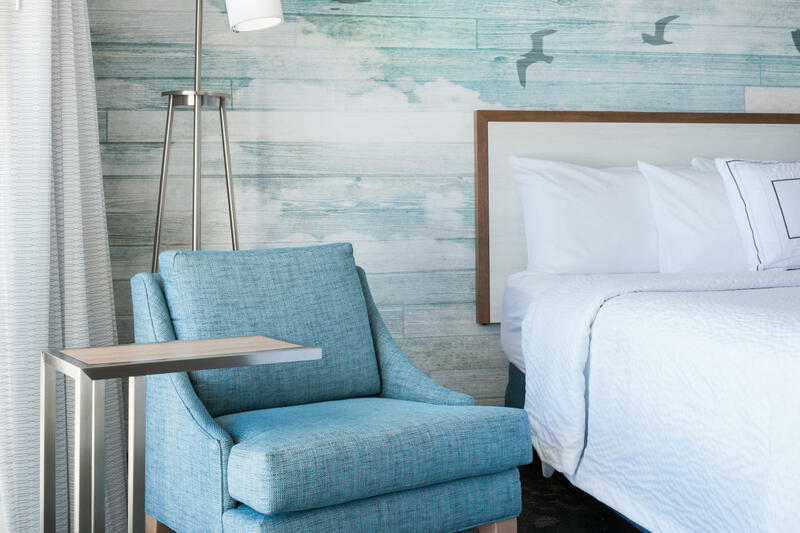 Newly renovated as of March 2017 redesigning all guest rooms, meeting space, Bisro, indoor pool and public areas with a modern beach feel! 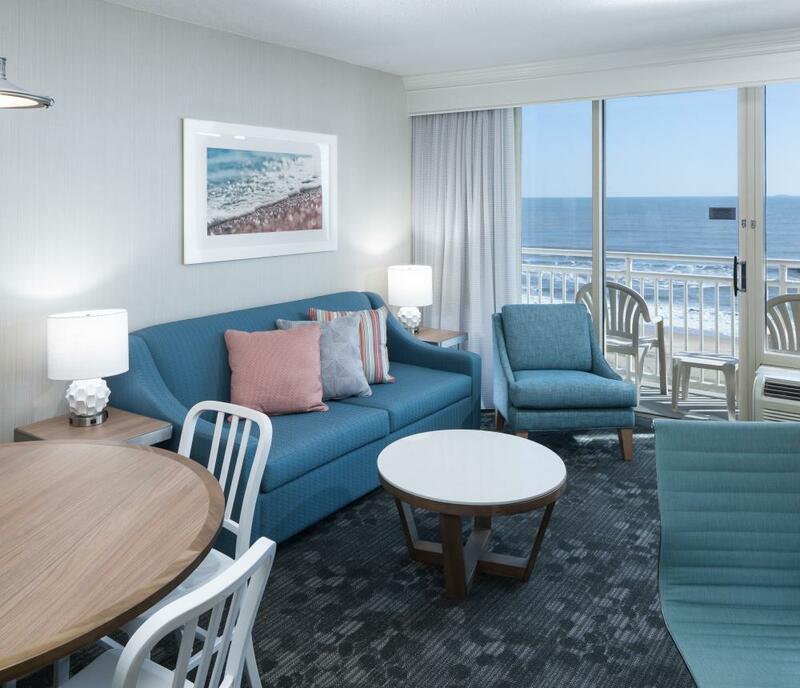 Every room features a 32” flat-screen TV, a mini-fridge, and a private furnished balcony facing the ocean. 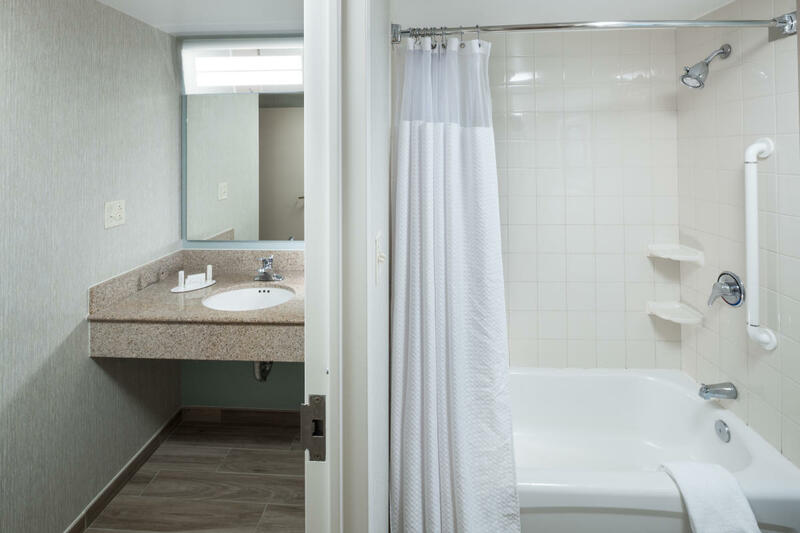 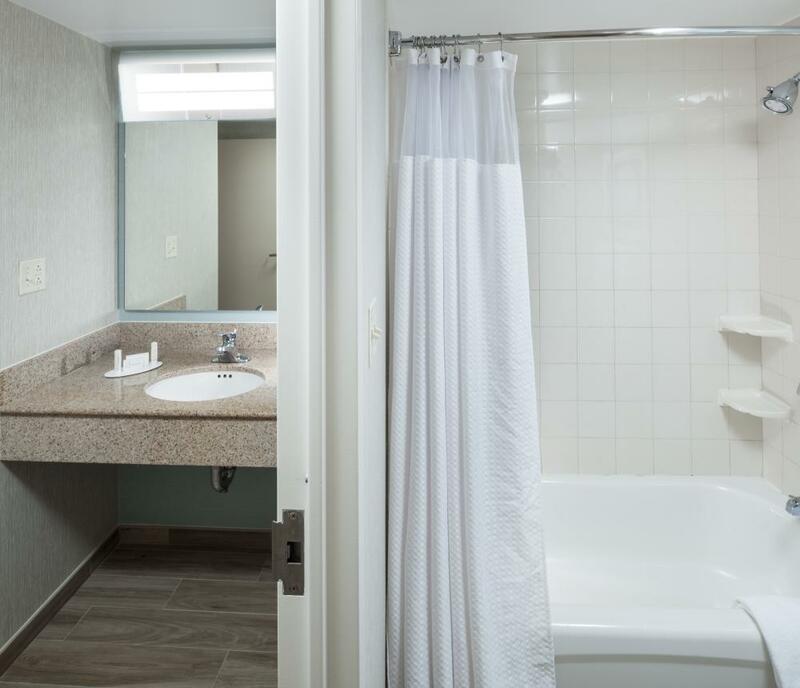 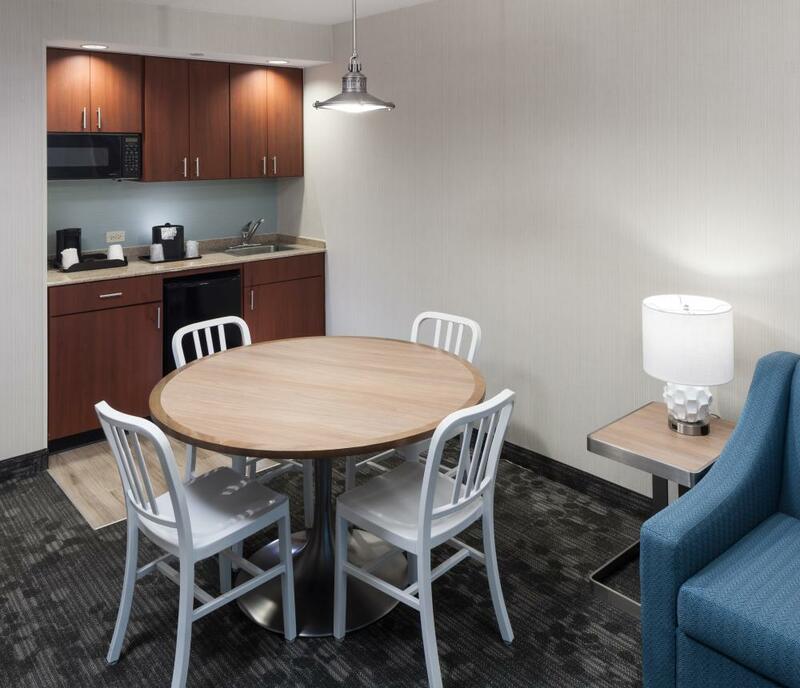 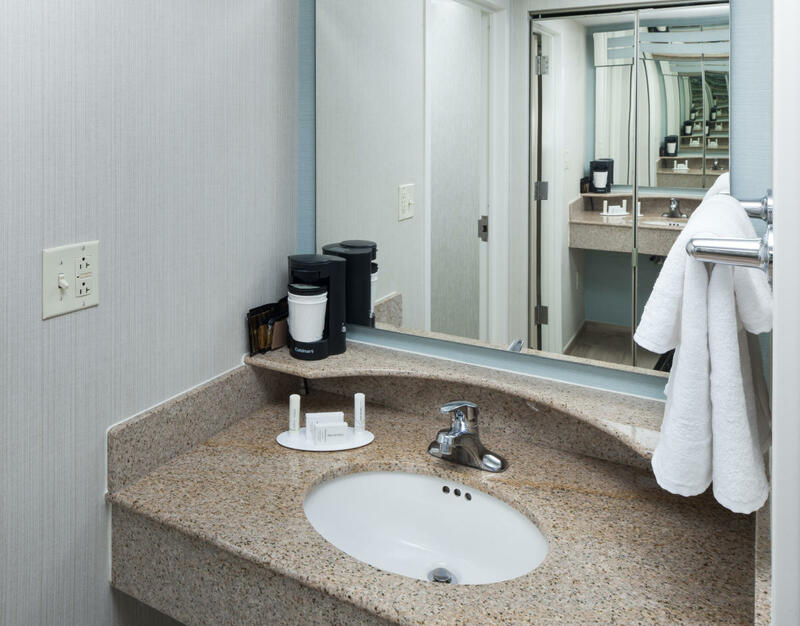 Our hotel is 100% non-smoking and offers a variety of room types. 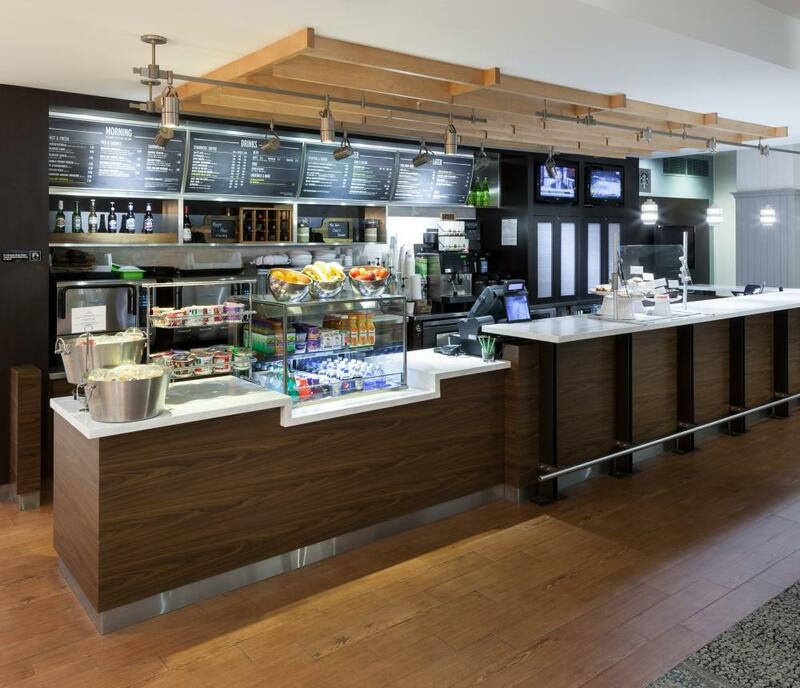 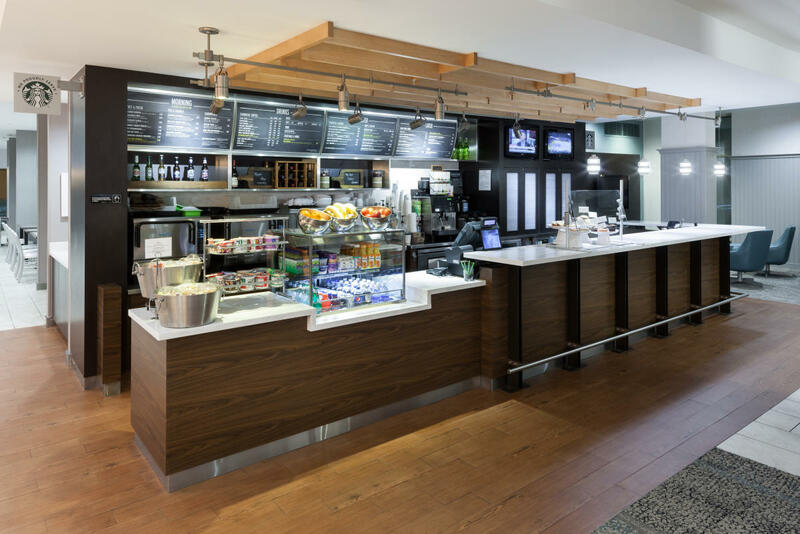 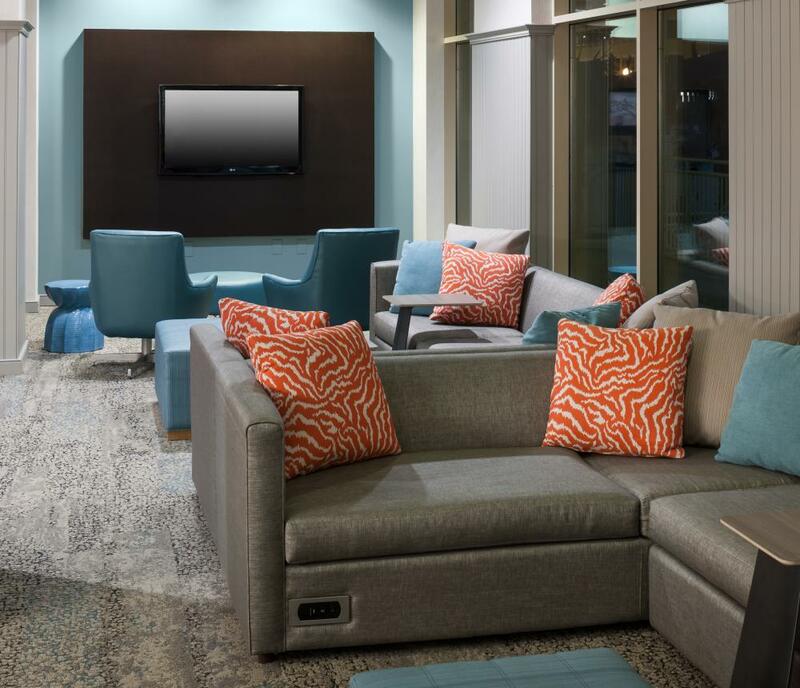 Drop by The Bistro at our hotel to enjoy breakfast, lunch and dinner or step into our on-site Starbucks. 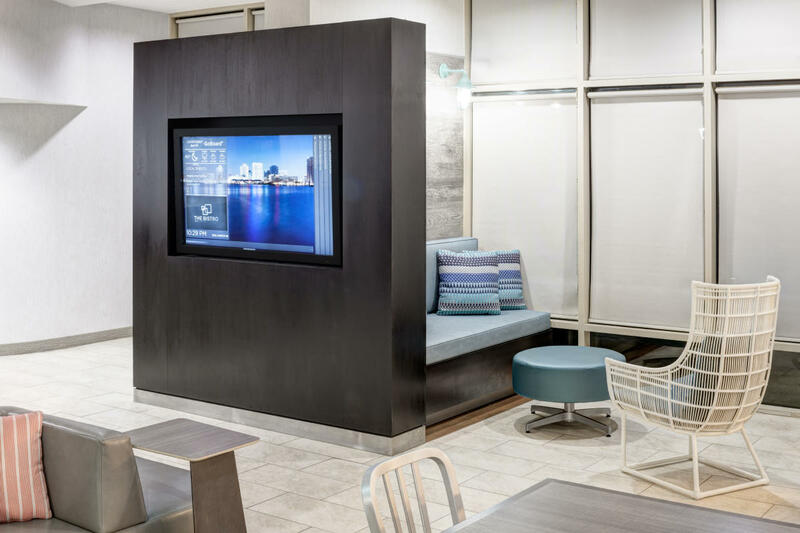 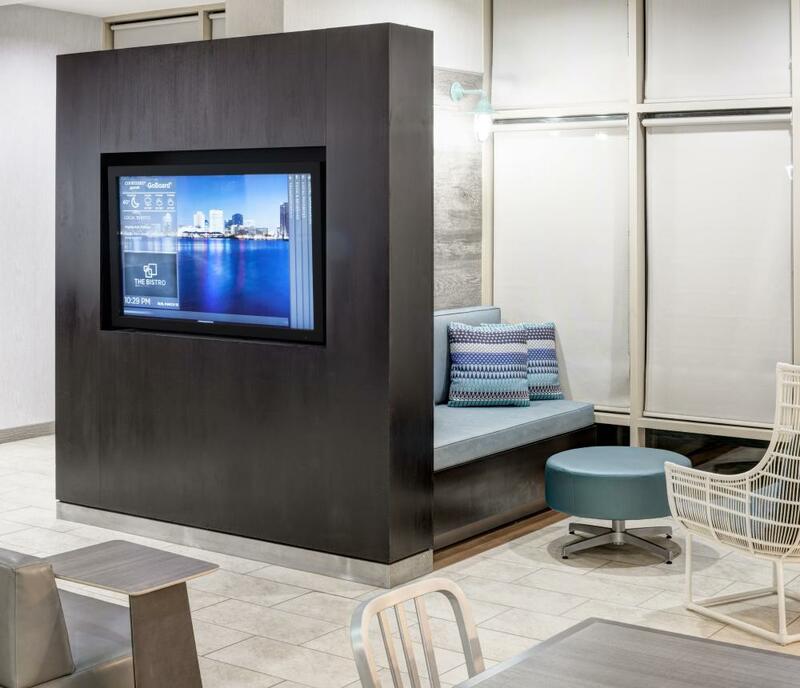 Enjoy our new lobby that features a touchscreen GoBoard with the latest news, weather, and airport information. 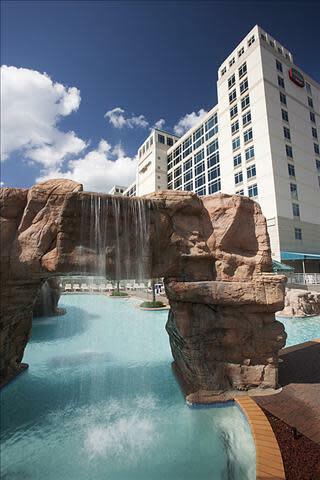 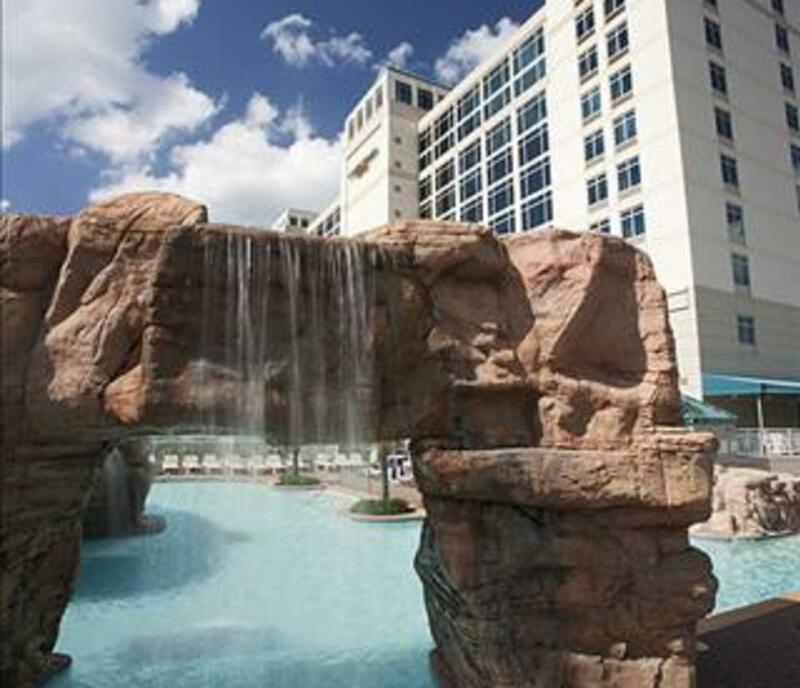 Unwind by our tropical pool, with its cascading waters, while enjoying a cold beverage from our pool bar. 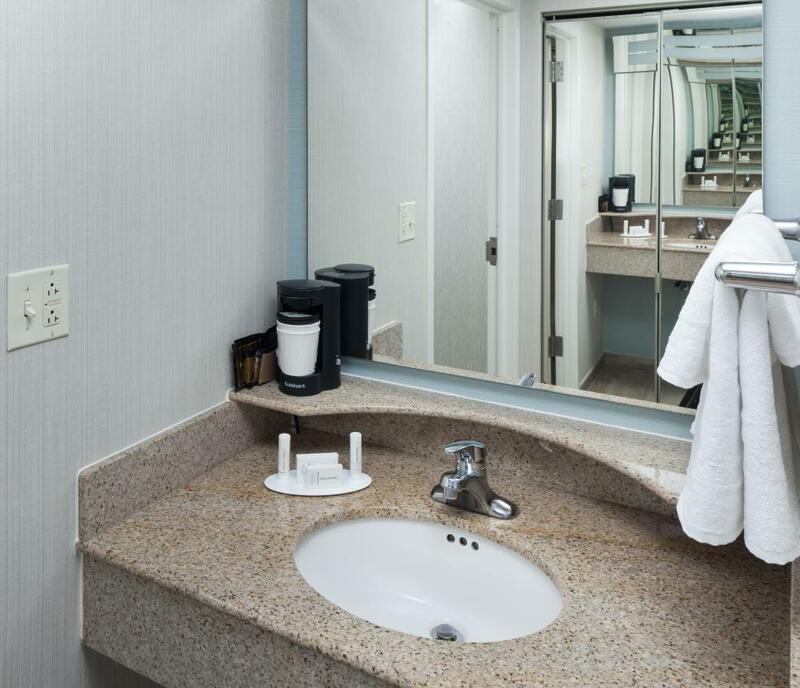 Free Internet! 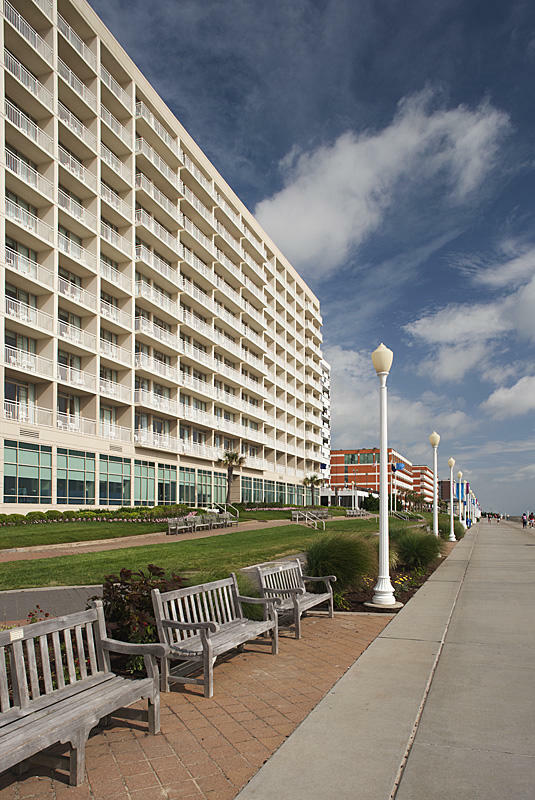 Parking fee Memorial Day - Labor Day is $9 per day and one car per room.